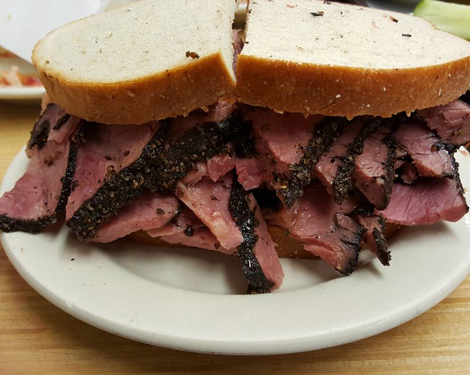 With the help of some pastrami pros, we parse the yiddush phrases and humorous shorthand that make Jewish delis incomparable culinary institutions. 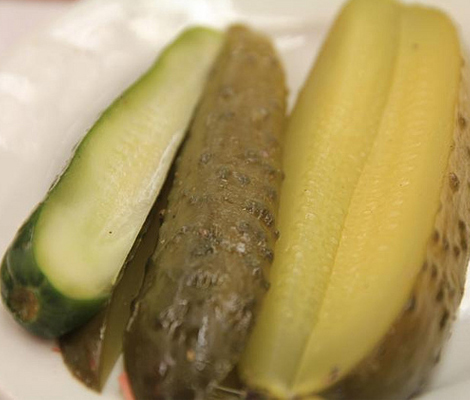 Growing up as a child, I often heard my nana call her husband, Arn, a “putz.” They’ve since passed on, and my opportunity to stand back and absorb an ancient form of communication has dwindled—except for the times I make my way to a Jewish delicatessen. Only there, on rare occasions, will I overhear one of the most memorable yiddush phrases of my childhood casually tossed around in public: “Don’t be a putz” or, more familiarly, a prick. Of course, the word putz doesn’t have a specific deli connotation, but you can find plenty of them couched in booths, angrily waving down a waiter, complaining that the fatty pastrami they ordered is…well…too fatty. 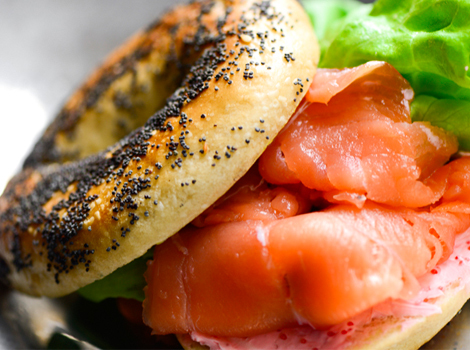 Like the diner, the deli is bursting with shorthand and—in this case—yiddush slang, because it’s essentially the Jewish American version of a “quick service” restaurant, says David Sax, author of Save the Deli. 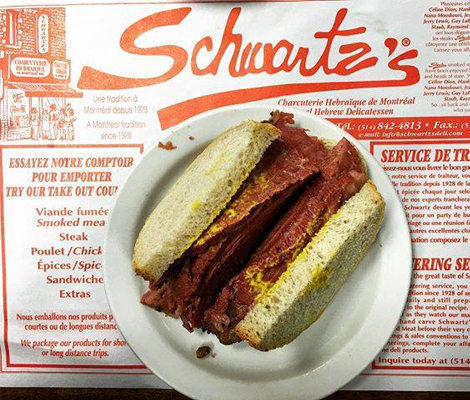 “A bissel of this, a nosh of that—these terms define portion sizes in ways that small, medium, and large don’t, while imparting a cultural flavor.” Humor is an integral part of the operation, notes Ziggy Gruber, who runs Kenny & Ziggy’s in Houston, TX, and starred in the documentary, Deli Man. “Being shticky is part of delicatessen culture,” says Gruber, whose distinct brand of comedy evokes the Catskills circuit of the ’60s. “There’s a deli language that’s become universal, regardless of geography” says Mile End and Blackseed owner Noah Bernamoff. 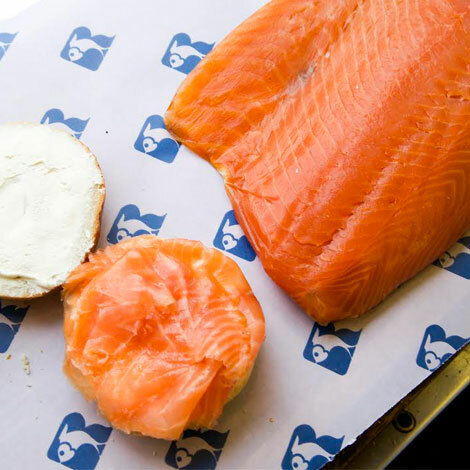 And while it’s true that many Jewish delis pedal the NY Jewish expat tradition, there are plenty of regional differences—like in Bernamoff’s hometown of Montreal, where knowing to order “a 1/2 dozen black, and a 1/2 dozen white” will serve you well—that broaden the lexicon. A new, young generation of deli owners is not only updating the fundamentals of curing fish, but is also contributing to the glossary, borrowing Spanish phrases to describe the best parts of the pastrami (as is the case with DTLA’s Micah Wexler). “Places like Mile End and Wexler’s not only embrace the nature of the slang, but come up with their own, out of necessity (communicating orders), but also imparting their own identity,” says Sax. Cut me a piece of silk.